Ichika mumbled something incomprehensible as we left the inn. Well then, what to do next… I bought a slave, which was the my purpose this time. How about we head back? By rank limitations, she’s talking about the guild not allowing people below that rank to enter. You could still go and die at your own risk, but you won’t be given information on the place while your rank is insufficient. In the case that the dungeon is being managed, you would be treated as poaching and your loot would be seized. Furthermore, you would be fined. Inside of the book written by Haku-san, [Introduction to the Study of Dungeons], ‘Dungeons are natural phenomena, things that could grow. 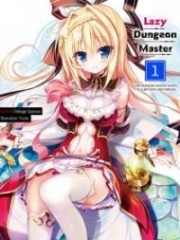 Dungeons that grow up to a certain point are able to form new dungeons, like starting a family.’ The derived dungeon was a new dungeon made by Haku-san for the Dungeon Battle. Incidentally, ‘A dungeon will rapidly grow up in a day, or possibly degenerate. This is called the transition phase’ was written in beautiful penmanship in the ‘Dungeon Battle things’ memo. Since it had more than a hundred and fifty floors, I guess saying thirty percent was about right… guess it was pretty difficult? Come to think of it, that gatekeeper said that ‘Receptionist-san was worried’ huh. She actually had ‘that’ attitude though. Though I left in a hurry to return last time, there’s not really any pressing reason this time. Why not go by to say something? It’s important to have a colleague with the local common sense after all. Rokuko doesn’t concern herself with a human’s common sense since she is a Dungeon Core, and Meat is ignorant of society from being raised as a slave. Well, mornings were rush hour in the guild… it wasn’t. The commission notice board was developing its own rush hour and was very crowded though. Maybe I should come back later? Although Meat looked at the commissions and asked me which ones I wanted her to fetch, I didn’t come to pick one up this time. Just to drop by. Hmm? Maybe it’d be faster to just go and say something at the counter? Since I can set aside more time to sleep if I get back fast, let’s finish this quickly. Well, at the counter was the usual Receptionist-san—… a different person! I saw a different person there for the first time ever! Showing my guild card, I decided to greet her. I decided to quietly wait since I was told to. I heard Ichika ask if I did something wrong, but I didn’t really know… did me being a Dungeon Master leak out to the guild? After waiting for a few moments, the usual Receptionist-san arrived. By assigned to me, that meant she was my dedicated receptionist. It seems that’s preferential treatment to special adventurers. With a dedicated receptionist, things that would need official documents could be processed with just a few words. That, and dedicated receptionists were obligated to give priority to you over other adventurers. If they saw you lined up for the counter you would be called forward to be processed. Things like that. It also seems like they would tell you economical information and advice. This Receptionist-san’s disposition towards slaves aside, she did her work properly so I there’s no problem with her being my dedicated receptionist. But I’ve been trying to figure out why… oh, that’s it. The Guild Head said Meat and I might be his grandchildren. Looks like there’s no problem with me going. Ah, probably a good thing to know… preventing Rokuko from being damaged by threatening others with the title of an A-rank adventurer. When I asked about its location, she showed me a comparatively crude map compared to the menu’s, saying it was somewhere around where she pointed. Receptionist-san, who had visibly just recalled something, held out a commission ticket. It was’t one for restroom cleaning. It was for procuring of rabbit meat. Now that I think about it, those meat skewers we ate yesterday were from a different stall huh…? That commission certainly did say that the meat was for ‘the next week’, that day was probably yesterday then. I didn’t know or else I would have went to that stall to eat some delicious meat skewers. Well, Ichika probably wouldn’t have been able to eat any since they were sold out in the afternoon. Ah, it looks like I’m going to have to accept the rabbit meat designated commission huh? It’s fine though, I’m not in any particular rush to hurry back.